Every year around this time, we anticipate dental insurance updates and plan changes for the coming year. The dental insurance world is constantly changing. Coverage requirements, restrictions, criteria and procedure codes change as often as the weather. 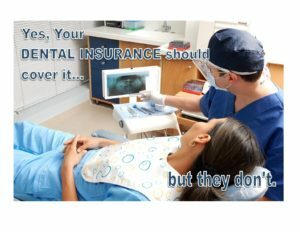 Over the past few weeks, rumors about changes to dental insurance plans have been plentiful. The administrative team at VIPS Dental works hard to pinpoint accurate and reliable information about insurance plans in the areas where our services are affected. 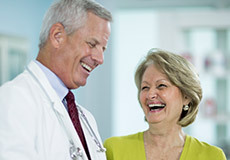 Our goal is to make sure our clients have a plan to roll with the punches when it comes to securing the maximum reimbursements for their patients. Including surgical services in your general dental practice should be simple, predictable, and stress-free. Providing your patients with expanded treatment options makes dental care more convenient, more comfortable and increases patient follow-through on needed treatment. Our administrative team and Insurance Help Desk work hard to help you give your patients more of what they expect from their dentist. The CDT table has been updated for 2018, and several codes have been deleted while several more have been added. One that affects our clients and patients in particular is the way moderate iv sedation will be reported. Beginning January 1, 2018, moderate sedation should be reported using CDT code D9239 for the first 15 minutes of moderate iv sedation and code D9243 for each additional 15 minutes of iv moderate sedation. Please be sure to make this change to your system, and use the new code when verifying dental benefits. We expect to see an increase in the popularity of EPO (Exclusive Provider Organization) dental plans. EPO dental plans function similarly to PPO dental plans in covered services, deductibles and annual maximums, with one very important exception- there are no benefits payable to out-of-network providers. Be mindful of your patients’ plan TYPE (PPO, DMO, EPO) and verify coverage appropriately to prevent financial surprises for your patients. If you are not a participating provider for an EPO plan, and you file a claim for services, it WILL NOT BE PAID by the plan. If you are in Texas, EPO plans will be less popular and limited to Federal Employees. We want patients to take advantage of the full provisions of their dental plan to assist in the cost of convenient, compassionate quality dental care within the dental practice of the doctor they know and trust. In order to maximize the dental plan contribution, and minimize financial ‘surprises’ for patients, we recommend that every patient’s plan benefits and plan type are verified prior to treatment. 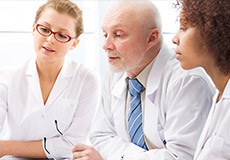 Send a pre-determination of benefits request for all patients, whenever possible. Make sure your claims are populating with the correct information in the appropriate fields in order to ensure accurate claims processing. Are you an exceptional dental practice? Would you like to learn more about offering your patient more of the services they want and expect in your practice? Want to know more about the ways VIPS supports your team when working with a mobile surgical provider? Contact Us for a free consultation and assessment to get linked to a provider in your area. Copyright © 2016 VIPS Dental | Site designed and maintained by TNT Dental.